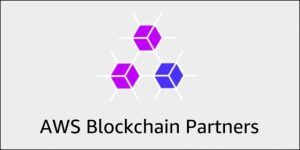 We are excited to announce the AWS Blockchain Partners Portal that supports customers’ integration of blockchain solutions with systems built on Amazon Web Services (AWS). AWS provides the broadest and deepest capabilities with the largest global infrastructure for building end-to-end blockchain solutions. We invite you to check out current blockchains and review reference architecture, deployment strategies, and development tools on our new portal page. We will be launching an AWS Blockchain Competency in 2018, and you can sign up for our Blockchain for AWS Partners mailing list to learn more. Blockchain is the application of a technology in which a list of records, or blocks, are cryptographically linked to one another via timestamps and other attributes. Blockchains are resistant to data modification since the alteration of one block requires consensus across the recorded chain or ledger. The following Blockchain Partner Solutions are available now as one-click deploy: Sawtooth Supply Chain, Sawtooth 1.0, R3 Corda, PokitDok, and Blockapps Strato. Expect to see Samsung SDS, Tibco, Quorum, and Virtusa solutions in 2018 along with reference architecture from our partners. These products will have native AWS integrations to allow plug-and-play access to our portfolio of services. If you’re involved in Healthcare and Life Sciences, Financial Services, Supply Chain Management, Security, or Compliance, and would like to innovate with us, we welcome your proposals. For example, based on feedback from our Healthcare and Life Sciences customers, we are interested in seeing proposals for identity resolution, auto-adjudication, and supply chain integrity applications. We will continue to drive new blockchain technologies into AWS Marketplace, enabling AWS customers to evolve blockchain standards and accelerate the adoption of enterprise-grade blockchain solutions. In guiding customers along their journey, AWS will be able to better understand the vital business decisions facing this technology. By listening to customers, we will expand blockchain solutions to support not only today’s operations but also new business models enabled by blockchain. See the AWS Blockchain Partners Portal, sign up for our mailing list, or email us at blockchainAPN-interest@amazon.com to request help with your blockchain solution and connect with APN Partners that have deep experience within the blockchain domain.